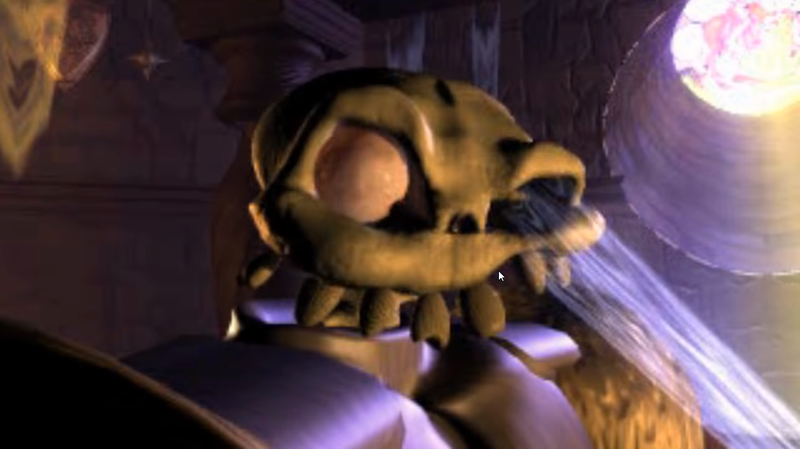 MediEvil is allegedly getting a PS4 remake - maybe even with a sequel remake packed in - but we haven't heard anything about it for awhile and it currently has a non-specific 2018 release date. I don't even own a PS4, but I still hope Sir Daniel makes his reappearance soon; it would allow many to conveniently enjoy a solid, sometimes forgotten PS1 experience (or two). While you await this modern opportunity, allow me to regale you with the exciting tales of my first encounters with the PS1 originals, which just so happen to be two of my favorite gaming memories. Avatar: The Last Podcasters, Episode 5 "The King Of Omashu"
The 5th episode of Avatar: The Last Airbender has officially landed on our show, Avatar: The Last Podcasters! This week's episode, "The King of Omashu" was the 2nd best episode we've reviewed so far, in our opinion, second only to the pilot in what isn't exactly a fair fight. Standing on its own as an individual episode, I won't be surprised if it finds itself near my personal favorites of the entire series. It's touching, engaging and - most importantly to me - hilarious. Contrary to what my eyes want to believe, Shadow Squadron isn't a licensed Star Wars game. It was developed and published by Sega for the 32X in 1995, and is a spiritual sequel and light upgrade to the Star Wars Arcade. It's usually noted for a fairly strong effort for an early, open, 3D shooter on a home console, but criticized for being aesthetically bland and fairly repetitive. It's inexpensive and competent, a strong combination relative to the rest of the 32X library, so I recommend it if you own the hardware. Topps 1986 is among my favorite baseball sets, but I'm not sure why. The design is as basic as '80s baseball cards come, the photos are mostly generic head shots, and its best cards aren't in the base set. Still, when I think of '80s baseball cards, Topps '86 is among the first to come to mind. Followed shortly by the glorious wood paneling of the '87 set of course. A couple weeks back my wife and I attended GeekCraft Expo in St. Louis, MO (7/28/18). It was the first held in St. Louis, and one of more than 15 to pop up since a group of people - the most famous of whom is Daniel Way best known for his work with Deadpool - spawned the first in Madison, WI, in 2015. It's a great opportunity for geeks to sell their handmade crafts. The '80s were the gateway to the darkest age of baseball cards, defined by mass overproduction and stock photo image quality. Topps 1988 is among the worst offenders. 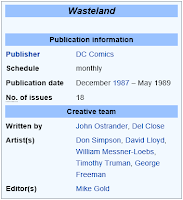 Wikipedia calls Wasteland a horror anthology for adults, with each issue containing three generally independent, ambivalent stories from the larger series universe. I found it eclectic and disjointed... and just really weird. 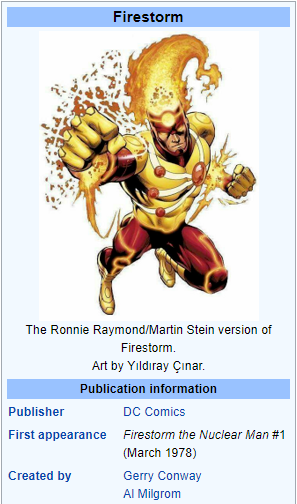 I'm not educated or experienced with comics, and I'm missing multiple important issues, including the first two and last four. Still, I'm comfortable saying I don't care for Wasteland.